Collective Architecture led a multi-disciplinary team consisting of structural, mechanical and electrical engineers to design and deliver three new shops to replace existing shops on an adjacent site. 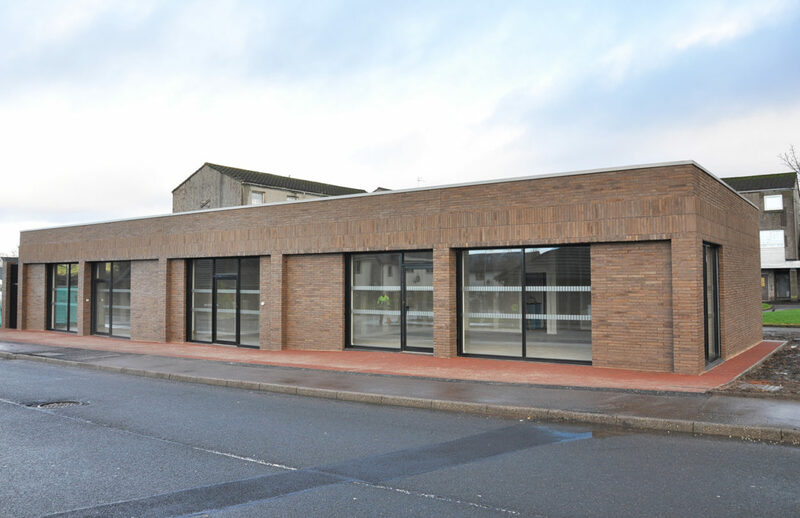 This involved liaising with the existing shopkeepers and working to a tight timescale to allow Renfrewshire Council to develop new housing around the shops. 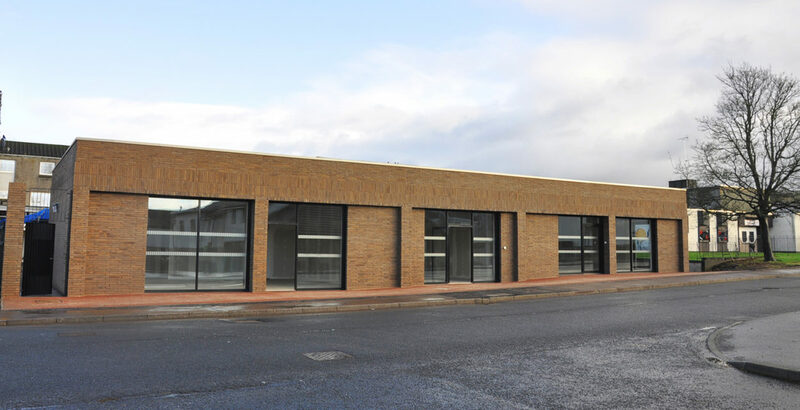 The building takes an orthogonal form to simplify buildability and minimise risk as the project was a test case for Renfrewshire Council’s Building Services Department. A simple form was therefore proposed, constructed in high quality, long format brick, sourced from Yorkshire. A series of five deep openings between piers are arranged to the front with windows, doors and walls set back; this allows flexibility of layout within a controlled elevation. An opening is included in the south elevation to provide a visual connection to the pedestrian path. 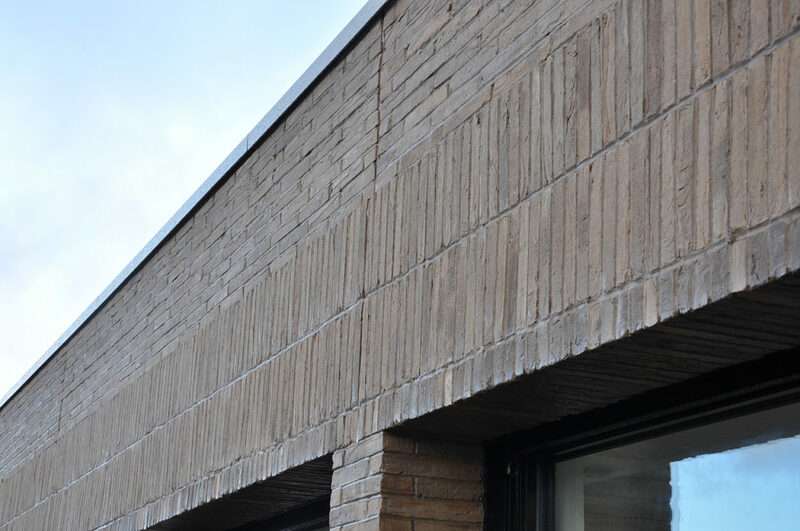 The elevations are enlivened with careful brick detailing. A simple open space, formed through a 3 meter step back to the front provides a break out space for customers and passers by. 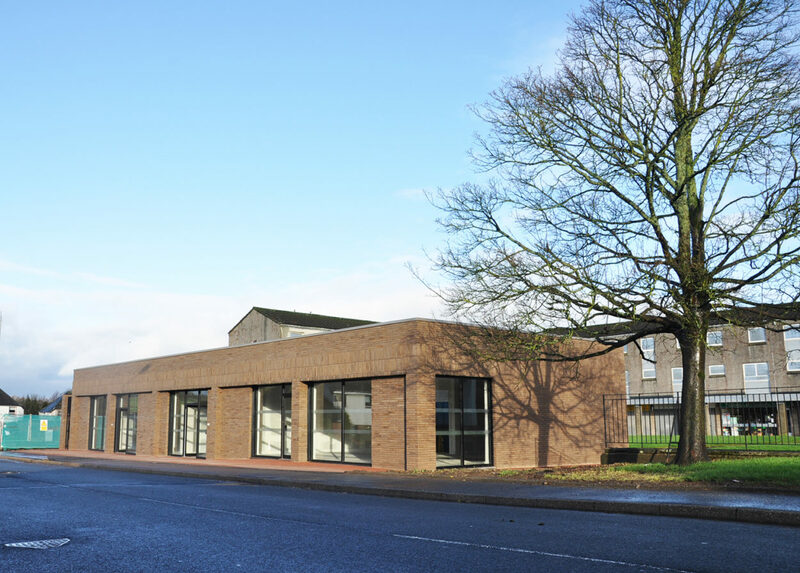 The building will contribute to the civic identity of Spateston; as such materials have been carefully chosen and well detailed to provide a building that will age and weather well over time.